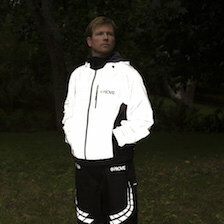 Our brand new REFLECT360 CRS Plus jacket has landed online. 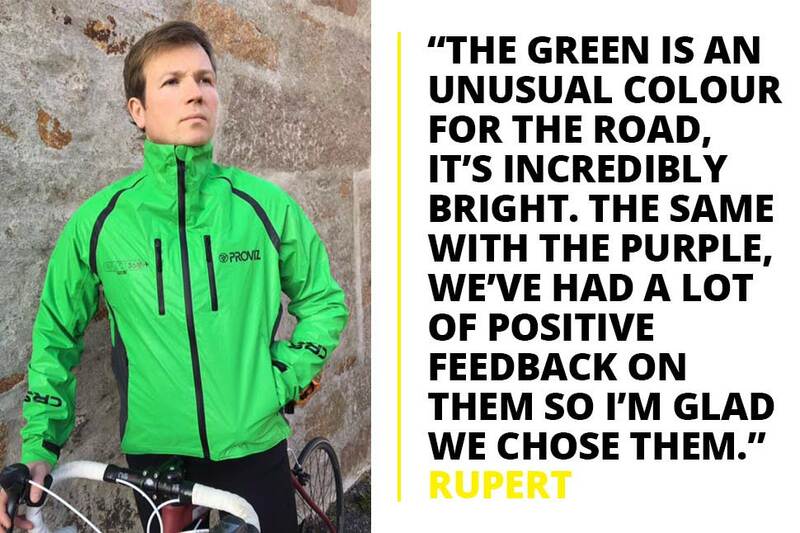 So we asked Proviz co-founder Rupert Langly-Smith to share the five things he loves about it (he has a green one himself). 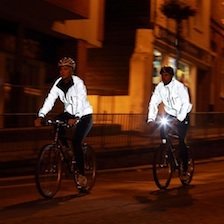 We like to think we take a ‘go hard or go home’ approach to high visibility and that’s certainly the ethos behind our REFLECT360 range material: muted grey-by-day, electric white at night, thanks to millions of tiny glass beads for (almost, but not quite) blinding reflectivity, lighting you up like a Christmas tree. The beads reflect light back to its source, so if you’re cycling or running in the dark, a driver should be able to spot you sooner and manoeuvre appropriately. 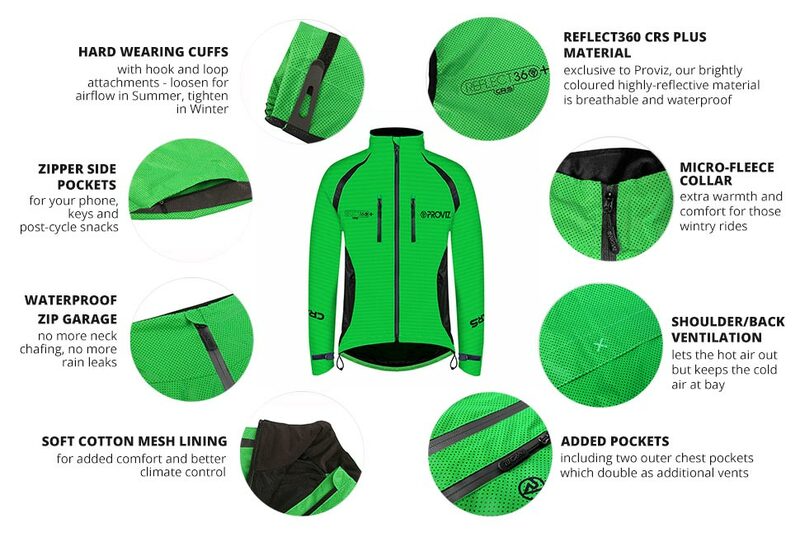 Described by one customer as ‘flashtastic’, the coloured reflective material is exclusive to Proviz and we’re quite proud of it. We’ve since introduced a range of colours for the more extroverted customer (more on this later). 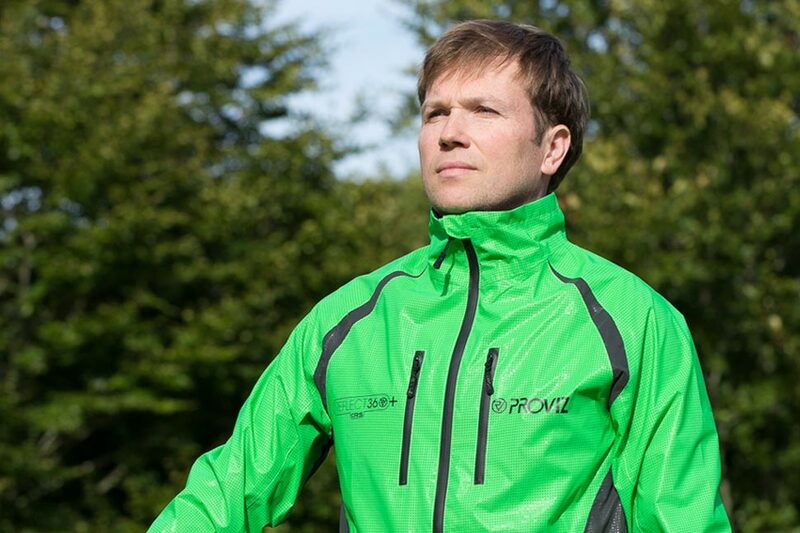 Our new Proviz REFLECT360 Plus cycling jacket is a more technical version of the original jacket we launched back in 2014. 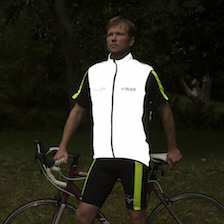 It’s upgraded reflective material (CE EN 20471 certified) was a hit, but people also wanted more choice, more functionality. 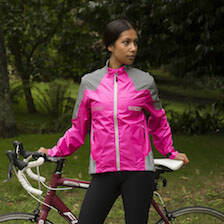 We were asked if we could upgrade the jacket to offer the best of both the original REFLECT360 grey cycling jacket and the CRS jacket and deliver a hybrid. So we did. We love getting constructive feedback from our community - it’s the best kind you can get! People were saying that they loved the original jacket but they would definitely buy another one if it had side pockets or more breathability. That’s where the improvements for this jacket came from. It was an obvious thing to do a plus version of the original CRS but it’s when people actually email you it makes the development process more exciting. We’ve worked tirelessly on developing a lighter weight material for the CRS Plus, because cycling is hard enough without feeling like you’re overheating under a thick, sleeping bag. This new jacket has more ‘through-flow’, as the front pockets can be opened up and used as vents to allow air in at the chest, and it can escape either out of the under arm or shoulder vents. In the colder months the front chest pockets are watertight and the size had been increased to deliver freer hand movement to access your belongings. The jacket is also highly breathable (10,000gm/24hr) and exceptionally waterproof (10,000mm), with taped inner seams to prevent water getting in at sewing lines. 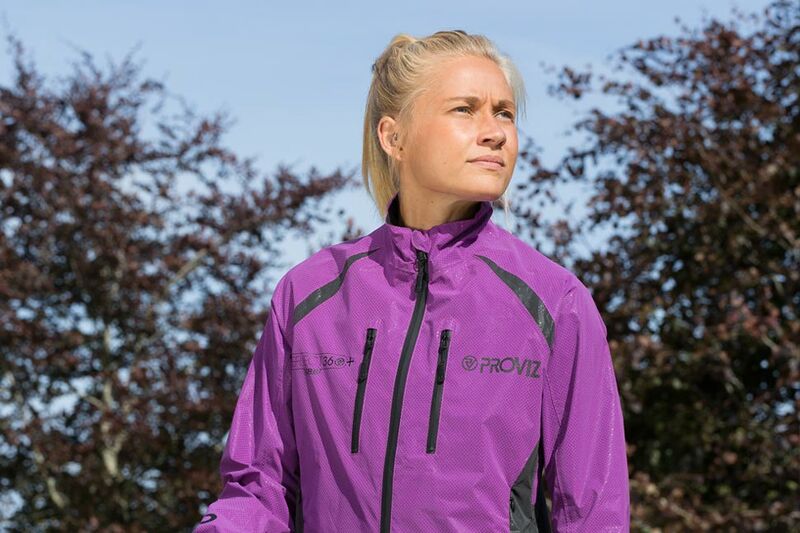 The jacket incorporates more pockets too; two outer chest, two side and one large back pocket, and the outer chest pocket also doubles as additional ventilation to help cool you down while you’re working up a sweat. We always try to remember those little details and add-ons. 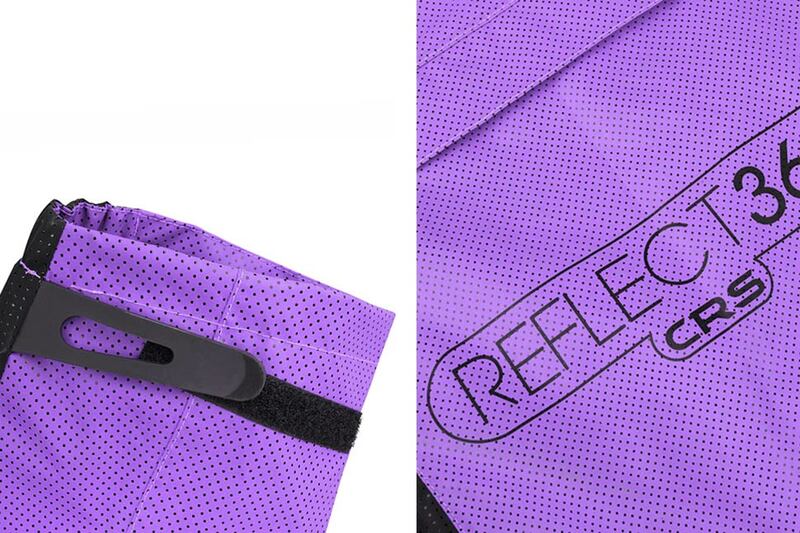 One of the main differences with the CRS Plus is that the main reflective material is sort of hole punched and then has a breathable film attached to the back of that. It allows more heat to escape. 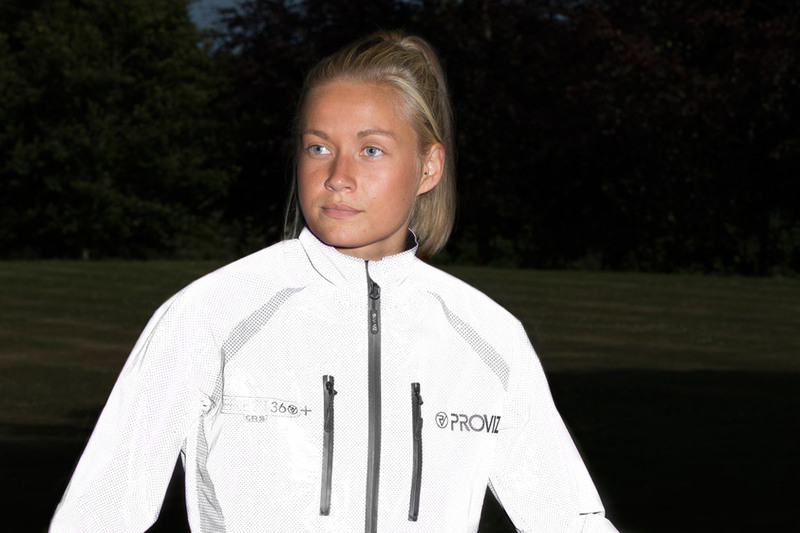 The first CRS jacket was the first ever fully reflective jacket to be manufactured in different colours and we wanted to continue that development. This new jacket has a more tailored fit than the last model. The two-tone fabric is new too. What I like about it is that it looks different, particularly with the black detailing to break up the jacket. I think it looks really slick.